SILER CITY – The U.S. government’s partial shutdown, which has halted the work of some government agencies since Dec. 22, hasn’t had a broad effect in Chatham County, but local shock waves have hit. 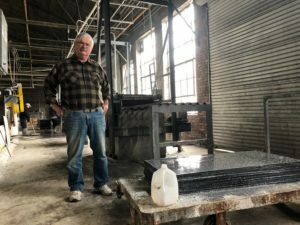 Just ask John Sich, owner of Floorazzo Tile, which manufactures Terrazzo flooring tiles at its facility on 3rd Street in Siler City. Sich’s plans to expand his 17-year-old business with the help of a loan from the U.S. Small Business Administration are on hold now, thanks to the shutdown, which has been driven by the political impasse between President Trump and Congress over funding a wall along the U.S. and Mexico border. Requiring a new location for Floorazzo Tile when his current landlord chose not to renew Sich’s lease, the local business owner found another existing building in Siler City which, after some modifications, will suit the needs of Floorazzo Tile, which employs 10 people. In October, Sich began the process of applying for a loan through the U.S. Small Business Administration to help make the move, estimating he spent close to 100 hours completing the paperwork. His loan application, first approved by a bank, was next headed to the SBA for approval when the government shutdown occurred in December, putting his plans in limbo. Sich faces a closing date at the end of January to purchase the new property, but as the federal government’s shutdown continues, Sich’s loan from the SBA – and his plans for his business – remain on hold. Sich said he remains optimistic that the shutdown won’t drag on too much longer. 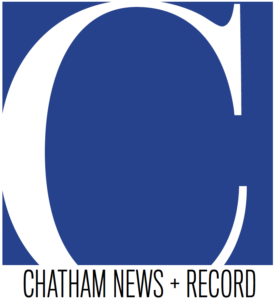 It remains unknown how long the shutdown will continue, but the longer it continues, the more likely other small businesses in Chatham County could face similar problems, said Alyssa Byrd, interim president of the Chatham County Economic Development Commission. And it’s not only the Small Business Administration. Chatham County’s Department of Social Services has observed few impacts so far from the shutdown, said Jennie Kristiansen, the agency’s director. “The Department of Health and Human Services was not impacted and at this time, we believe that Food and Nutrition Services is the only DSS program that will be affected,” Kristiansen said. Because of the federal shutdown, the U.S. Department of Agriculture instructed states to issue February’s Food and Nutrition Services (FNS) benefits by Sunday, Jan. 20. Benefits would normally be available to families from Feb.3 to 21. “We are working closely with county departments of social services and our federal partners to ensure participants and retailers have little to no interruption of FNS services due to the shutdown,” said Tara Myers, N.C. Dept. of Health and Human Services Deputy Secretary for Human Services. FNS is a federal food assistance program that provides low-income families with funds to purchase food. However, participants should be aware, state officials said, that since there will be no FNS benefits issued in the month of February, they should plan accordingly. Despite the federal shutdown, DHHS anticipates having sufficient funds through February, not only for FNS, but also for Temporary Assistance for Needy Families (TANF) and the Women, Infants and Children program (WIC). If the federal shutdown continues, however, funding for these services could run out after February, state officials said. Many government programs, however, continue to operate despite the shutdown, including Medicare, Medicaid, Social Security and the U.S. Postal Service, which is funded through sales and services instead of taxes. Likewise, operations at Jordan Lake, which is managed by the U.S. Army Corps of Engineers, have continued uninterrupted by the shutdown, said Dana Matics, Jordan Lake’s assistant operations manager. Though previous shutdowns of the federal government have affected Army Corps personnel at the lake, the Corps of Engineers was fully funded under the Dept. of Defense for the fiscal year, Matics said. “We’re really very fortunate,” she said. Though some recreational areas may be closed at the lake, it’s due to high water levels or seasonal closures, not the shutdown.